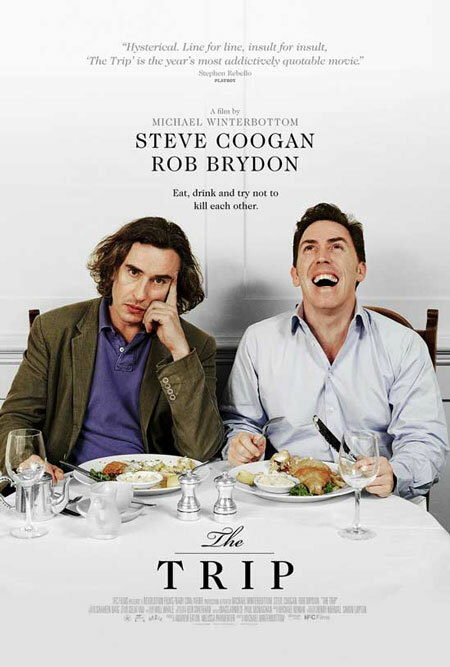 The Trip is a comedic film reconstituted from a short-lived improv TV series of the same name, starring Steve Coogan and Rob Brydon as fictional (and sometimes not so fictional) versions of themselves. Off-beat and off-color, this hybrid mockumentary/traditional film narrative delivers comedy that might not be to taste for the general American viewing public. Although presented as a low-key comedy, the film is really a sad coming of middle-age story at heart. The film’s comedy is both passive-aggressive and extremely understated, often to the point of there being no joke or gag at all, merely subtext and unspoken situation which presents itself as genuinely humorous. Especially entertaining is the continuous battle of dinner table impressions, namely those of Michael Cain and Woody Allen. Coogan’s acting proves to be one of the most impressive aspects of the film as he demonstrates his chops for more serious roles (not to mention that he won a BAFTA for his acting in The Trip).